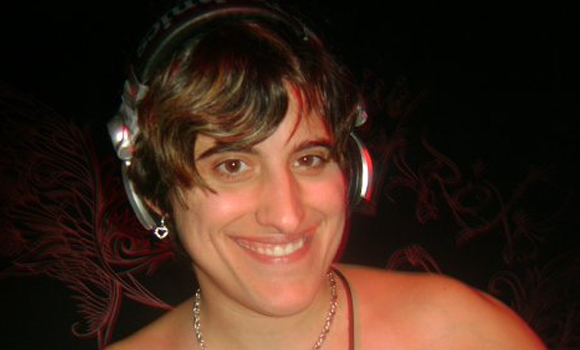 2Sweet has been spinning the best in Break beat, Electro, Jungle and house since 1999, impressing promoters, other DJs and listeners with her unique style and influences. Her grace behind the turntables is nothing but spectacular. Born in the small town of Ossining, NY, she moved to Florida and found a love for music which moved her into learning to play the keyboard in high school. She continued her love for music by going to Miami Lakes Tech. to study Radio Broadcasting. While still in school, she beat out eight students in her class to receive her first break in music, getting a gig at the radio station 940 WINZ, producing a show called The Sports Exchangeâ, which she produced for over two years. While working for the station she stumbled upon the Underground Dance scene by clubbing with some friends. Once hearing Break Beats she was hooked. She has been wowing clubbers ever since. While finding her love, she studied the art form with vigilance by watching all types of DJs and learning all she could from anyone willing to teach, which shows in her style today. While spinning in her first live appearance at a club, she stumbled upon a friend whose boyfriend â€œCloakâ€ had a gig at Shots in West Palm Beach, and was looking for another DJ. He heard her spin and was excited with her unique style and enthusiasm behind the turntables. After spinning for many little labels such as Eraysable Inc. and Sonic Energy, she was looking for a home and found one with 4Bidden Muzik when hooking back up with Cloak of Cloak & Dagger. Her impressive resume includes Karma Lounge, Zu-Bar, Players Club, X-it, Q-masters, Games Depot, The Boom Boom Room, and also making guest experiences on the Womb.com. Her recent joining to www.Geishaz.com completes one more step in her musical evolution.